Dr. Helem Im is a Temecula Holistic dental practice devoted to restoring and enhancing the natural beauty of your smile. We use state-of-the-art dental care procedures that will result in beautiful, long lasting smiles! our office is Mercury FREE!! 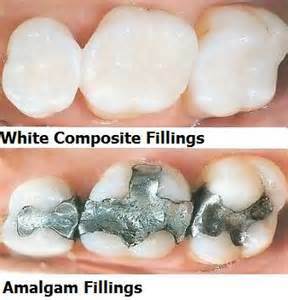 We use NO Mercury fillings in our office! Mercury is the most toxic, non-radioactive element on earth. According to World Health Organization, average daily intake of Mercury from "Silver Fillings" is greater than ALL other sources combined. This Mercury vapor continuously emitted can adversely affect the immune, urinary, cardiac, respiratory, and digestive systems over time. We focus on patient education and strive to remove silver/mercury fillings in a safe way. To accomplish this, we utilize the newest state-of the–art protocols based on recommendations of the IAOMT (International Academy of Oral Medicine and Toxicology) and other prominent biological and holistic dental organizations. Dr. Im minimizes your exposure by using the appropriate procedures and equipment such as rubber dam, special oxygen and high vacuums with patented fittings. Mercury pollutes 1) water via dental clinic releases and human waste; 2) air via cremation, dental clinic emissions, sludge incineration, and respiration; and 3) land via landfills, burials, and fertilizer. Once in the environment, dental mercury converts to its even more toxic form: methylmercury and becomes a major source of mercury in the fish people eat. Dental mercury in the environment can cause brain damage and neurological problems, especially for children and the unborn babies, according to the United States Environmental Protection Agency.